When A Flood Strikes Your Dover Home, Call Our Experts At SERVPRO Right Away! For expert inspection and solutions to property, damages contact SERVPRO of Dover / Stillwater at (973) 810-2825. When we think of flooding the first thing that comes to mind is external — natural weather events like heavy rainfall, storms, road overflow or flash flooding. However, flooding can be caused by many other issues internal to the home. If there are issues with an attic water tank, HVAC system or second-floor plumbing, then water can quickly flood the home requiring emergency assistance from an experienced service provider. We can provide expert IICRC certificate holders to help residents with flood damage in Dover. One of the first things your SERVPRO technician can use their expertise for when arriving on site is conducting a visual inspection, also known as scoping the property. This process may seem time-consuming, especially when there is water around your ankles, but scoping is an essential part of delivering an efficient service. The scoping procedure involves checking to make sure ceilings are not loaded with water. Equally, shutting off electrical shock hazards and checking subfloors to see how much water has been absorbed. We start from the source of moisture and work outwards using moisture meters to detect where water may have migrated to as well as making a note of different materials that could be a source of damage. Once a thorough assessment is complete we can then bring in the correct equipment, tailoring it to your property and possessions. Water extraction units combine heating elements with vacuum power and specialize in removing excess moisture. These are effective in combating pooling without risking damages to your structural contents. We have the equipment and experience to handle water damage in your home. 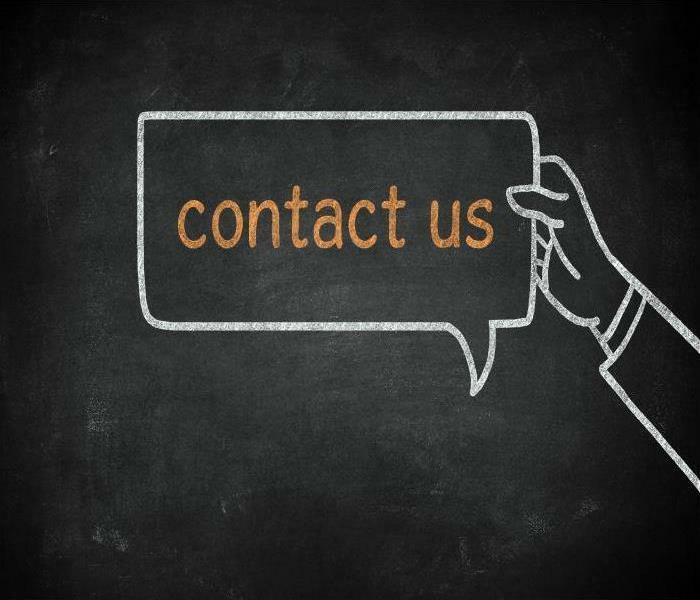 Call us right away we are available 24/7 for all your restoration needs. Every year, one out of every 50 homes has a water loss claim according to the Insurance Information Institute. A number of those homes are likely to be in Hopatcong, and the way you respond if yours is among them can significantly affect the outcome of any restoration efforts. A lineup of IICRC trained technicians, state of the art equipment, and a commitment to customer satisfaction is why our services offer a superior result. Water damage in Hopatcong occurs due to a broad range of circumstances. Storms and accidents that destroy the integrity of your home’s structure can allow water to invade through roofs, windows, and siding. Tiny cracks to big breaks in pipes or loose connections let fresh or wastewater soak into structural components or contents. 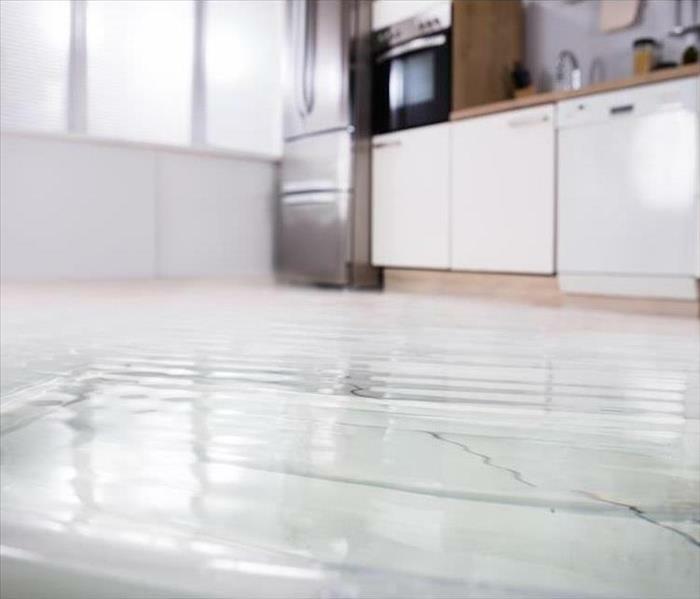 Spills and overflows or appliance malfunctions can flood areas of your home. Sewers back up and send foul liquids into lower levels. Each type of damage has its challenges, and our experience and knowledge are why we can respond most effectively. Contamination of the water that damages your home potentially exposes your family to pathogens, chemicals, and other noxious substances. Evaluation of the category of water is crucial in planning for extraction and drying. Our team completes comprehensive training concerning contamination, which is why SERVPRO is best positioned to contain and discard the water safely and according to applicable regulations. Even relatively clean water is immediately destructive to most building materials, dissolving cellulose-based wallboard and ceiling tiles and causing wood floors, trim, and cabinets to swell, warp, and buckle. We are Faster to any size disaster, explaining why SERVPRO crews are available 24/7. The earlier we arrive, the more likely we can salvage water saturated materials by removing standing water and using commercial-grade equipment to dry structural components and fixtures. 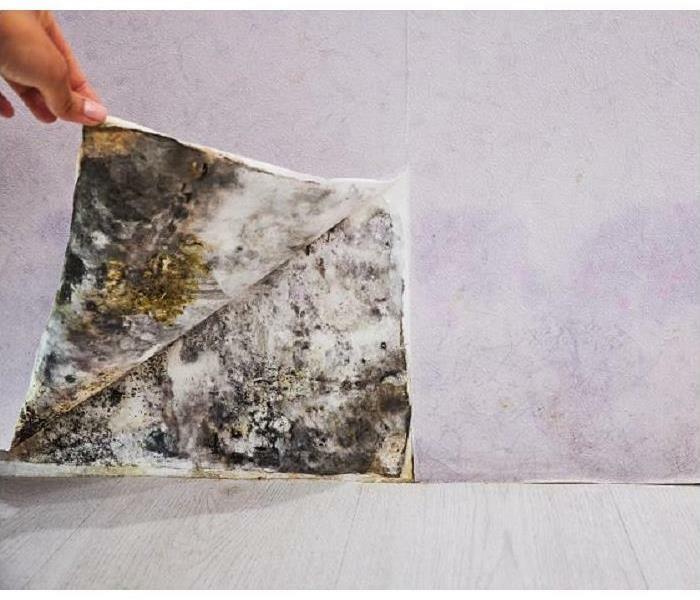 Fast removal and rapid drying help avoid secondary damage such as mold growth and offensive odors which complicate and raise the cost of the restoration process. Responsiveness and quality of outcomes are two of many reasons why SERVPRO of Dover / Stillwater should be your first call for water damage assistance. Call us at (973) 810-2825 for round the clock help with any water emergency. Click here to learn more about the Roland-May Eves Mountain Inlet Sanctuary Trail. All Dover homeowner should gird up for storm damage. Protect your home: Make sure to reinforce your windows, roof, doors and garage doors (a good idea is to board up the house). If possible trim damage trees or remove limbs that could affect your property. Also, make sure to remove any items from your backyard that has the potential to become a safety hazard and hit your home during the storm. Finally, if it is possible to purchase a portable generator that you can safely use after the storm. Prepare a disaster kit: It is important to get all the supplies necessary for you and your family ahead of time. The anxiety created before the storm can make it difficult to find the items that you may need if you wait too long (all the supermarkets will have empty shelves.) 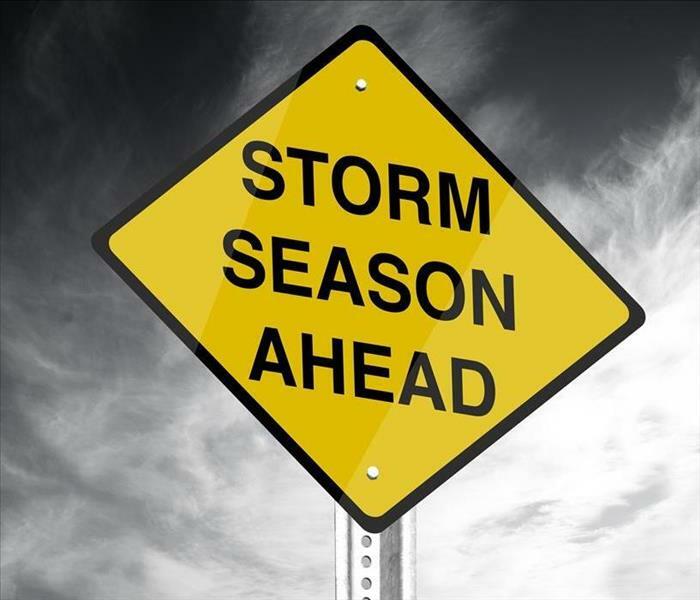 Make sure you store enough food and water for at least three days, a flashlight with extra batteries, a portable (battery) radio, a first-aid kit, extra cash, any prescription medication, personal sanitation supplies, and remember your pets. Also, remember that SERVPRO is close at hand, We're Faster To Any Size Disaster. Determine where to go: Your local officials can provide enough information about where to go in case you are ordered to evacuate. Take the time to know the evacuation routes and have a plan in place if your family needs to go. Remember to get your car ready as well, keep a full gas tank, blankets and extra clothes in it, and the car in generally good condition. SERVPRO strongly advises only to store extra gas in approved containers. Other recommendations: Ensure that your electronic devices are fully charged, make copies of any important documents, check with your insurance company to have proper coverage, and if possible make an inventory with pictures of your belongings in case you have to file a claim later. Use that thumb drive for future reference. Our team can be ready to assist you after a storm by calling (973) 810-2825. SERVPRO of Dover / Stillwater can work hard to restore your property, "Like it never even happened." 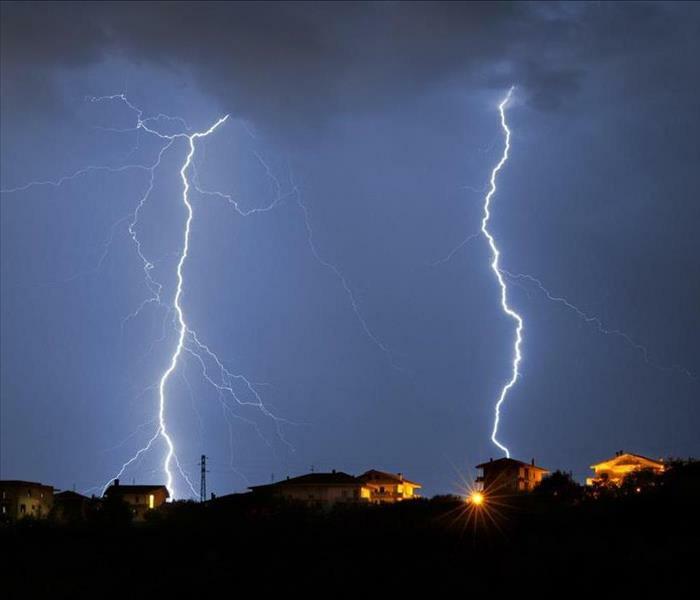 Lightning may not strike your home more than once, but that is sufficient to create havoc. Hazardous conditions can put your family at risk along with property damage. Power Surge Damage: Say goodbye to most of your electronic devices if they were connected. If lightning hits home and it chooses the electrical wiring as its path, the explosion could damage most if not all the appliances that are connected. The damage to the electrical system can be substantial. SERVPRO recommends proceeding with caution. Fire Damage: One of the biggest fears, when a house is hit by lightning, is the possibility of starting a fire. Most houses are built with flammable materials, which makes it the perfect environment for a flare-up after a strike. Most of those fires start either in the roof or in the attic. Explosive Shock Wave: The waves created by lightning can be destructive. In many cases, these waves can cause damages to stone, brick, and concrete, not to mention your ears. Structural damage can be a dangerous result requiring cleanup from a professional outfit like SERVPRO. Shattered glass, destruction to chimneys, and cracks in the foundation of your property can be the results demanding immediate attention. Besides caring about the physical destruction of your property you should understand that even though it is not common, it is possible to receive an injury from lightning while in your house. Therefore if there is a storm that involves lightning your best bet is to stay away from any pipes or wiring that can be used as a path for the lightning. For example, you should avoid taking showers, using a computer, appliances, and a land phone line. There is a high potential of a fire starting because of lightning, therefore if your house has been affected by one do not hesitate and contact your fire department. Consider a professional electrician to check your breaker panels and wiring. Click here for the Dover emergency management access. This is the beginning of water damage. Don't let this progress, call SERVPRO today. The last thing any business owner wants is for water damage to interrupt their hours of operation. In the case of your diner, the industrial dishwasher malfunctioned and began to leak water into your small kitchen throughout the night. When you arrived in the early morning, to begin prepping your diner for service, you discovered the water in the kitchen that had been sitting overnight. While you can clean up the water that is laying on top of the tile flooring, you cannot account for how much has already been absorbed and therefore should not ignore the problem. Leaving the water damage unchecked inside your Dover diner can cause further damages to your property. The longer that excess moisture sits unchallenged, the more likely it is that mold damage can begin to form. Mold is caused when mold spores are exposed to moisture for a prolonged period. While the floor of your diner may seem dry after mopping up the water, it probably isn't. The water had plenty of time to soak into the base of the floor overnight. Getting professional help to your property as quickly as possible lessens the chances of mold forming, or for unsightly cracks to appear in the tile. Here at SERVPRO, we believe in working by your schedule and coming as soon as possible to your property after your initial call. We understand that your time is valuable and we can work whenever it suits you, through the day or night. When our SERVPRO techs arrive at your diner, they can begin remediating the water damage on your property promptly. Our technicians are IICRC-certified and have been trained excellently, ensuring they can always select the best solution for the damages on your property. First, SERVPRO can begin with setting up dehumidifiers, ventilation fans, and drying mats, blasting the area with fresh and dry air. We can ensure that dry air is getting to every nook and cranny that the water may have run to during the leak. Once we're sure the floor is adequately dry, SERVPRO can use thermal imaging technology to make sure that no pockets of water have gone unnoticed. If faulty equipment causes water damage on your property, always get help as soon as possible. 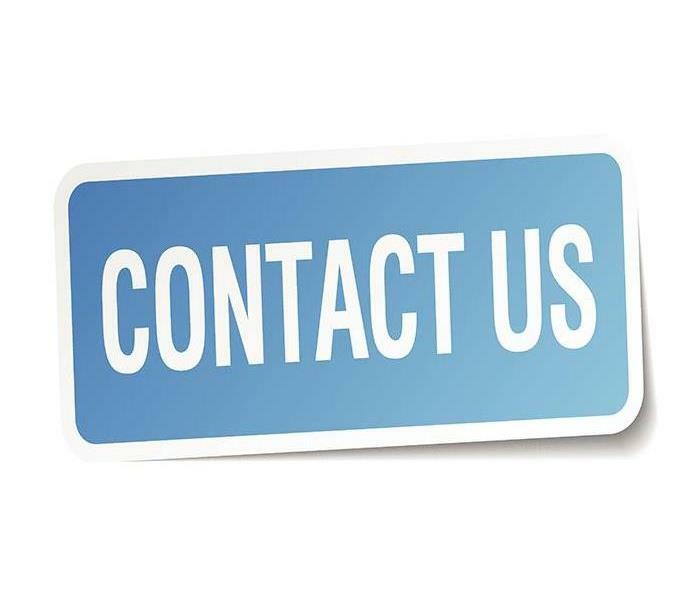 Get in contact with SERVPRO of Dover / Stillwater by phoning (973) 810-2825. We can always work when it is best for you. Why We Use Hydroxyl Generators on Fire Effects in Hopatcong Homes? Part of the ability we have to help homeowners whenever disaster strikes are our commitments to having the best equipment and tools. We can restore properties efficiently and effectively. Fires can often have widespread damages beginning at the combustion site and often reaching far beyond the immediately affected areas. When it comes to choosing the right professionals to restore these damages in your home, the choice comes down to the availability of skilled employees and adequate equipment to do the job right like our team offers. While there are many machines and specific equipment that our professionals use to restore fire damage in your Hopatcong home, one of the common devices of this process is our hydroxyl generators. These are multi-faceted pieces of equipment that can help to both keep our SERVPRO professionals on-site safer and improve several aspects of the damage to your property from the fire simultaneously. Smoke and soot residues are often more insidious and damaging than the actual flames and water damage from the extinguishing efforts. 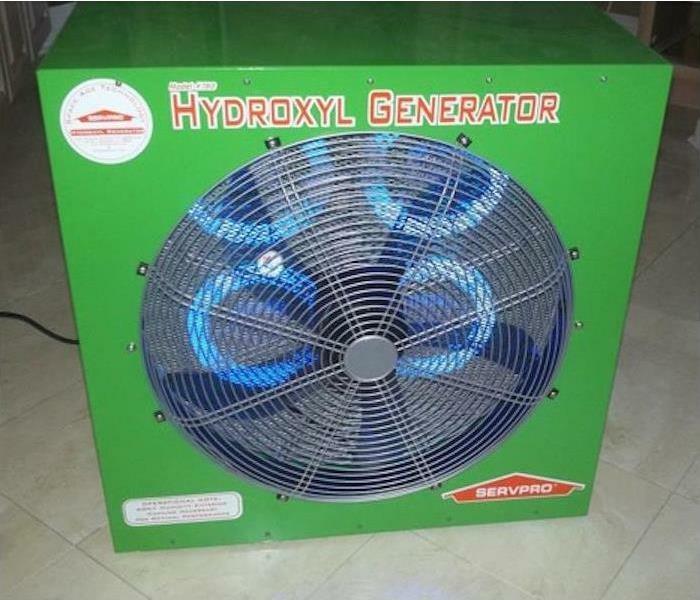 One of the best features of the hydroxyl generator is the size of the unit. While our team has many of these machines, many homes only require us to use one or two at any given time. Our machines can often treat thousands of cubic feet per unit, offering a broad affected area that these units can work to improve from a central position within your damaged home. The partner for these generators--ozone machines--are very heavy duty air cleaners and neutralizers of airborne particulates but are very limited in their use. Ozone, O3 molecules are dangerous, and no plants, people, or pets can be on location during this clarifying state. Circumstances dictate the equipment our FSRT fire and smoke restoration technicians utilize. These machines get favored for fire recovery by our SERVPRO professionals because they can address several levels of indoor air quality concerns. With an onboard HEPA air filter, these machines can trap dust, debris, soot, smoke particles, and ash to reduce potential contaminants in the environment. Also, these units work to begin the often challenging road of odor removal and deodorization for the open areas of your home. While many steps are part of the fire recovery process for your home, it all begins with the right equipment and the expertise to use it. Let our SERVPRO of Dover / Stillwater rapid response team show you the benefits of our industry-leading equipment by calling (973) 810-2825. We have a lot to offer our residents here. Give our SERVPRO of Dover / Stillwater rapid response team a call whenever disaster strikes at (973) 810-2825. Disasters can seem a little easier to manage when you have insurance coverage for your Dover home. While these incidents can still prove traumatic, you can at least remain assured that the appropriate professional assistance and quality restoration for your fire-damaged home are just around the corner. There are several reasons why our team is a wise choice, and our work with local and major insurance companies should help to make a choice even clearer. 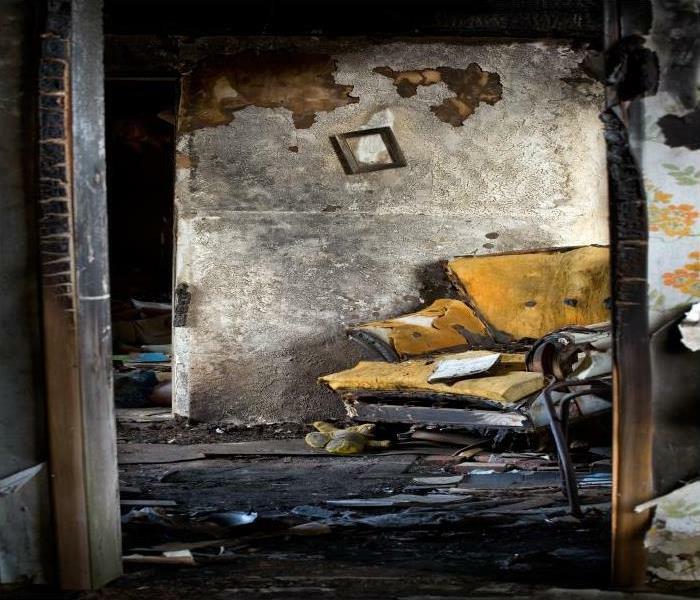 When it comes to restoring your Dover home from widespread fire damage, some steps must get taken before your insurance company can approve a damage claim to afford the restoration that your home requires. The initial step in this process is a thorough examination of the property and a catalog of the damage that your house has sustained from the incident. Instead of subjecting yourself to the potential dangers that could exist in your home immediately following a fire, allow our SERVPRO team to take care of this step for you. When we dispatch our rapid response team, we can send along our competent and honest estimator to begin an assessment of the property to note all damages and what must occur to restore the home completely. Not only does this list include the nature of the work to get performed in your house, but it can also catalog irreparably damaged contents and provide photographic evidence to your insurance provider that they require to approve a claim. By contacting our SERVPRO professionals even before you contact your insurance provider about the disaster, we can already accrue the information that they need. In addition to this making the claims process more efficient and smooth, it also provides an opportunity for our mitigation team to protect at-risk areas and contents of your home that could become damaged by waiting for the red tape of insurance companies. Fires can occur with little warning and restoring this damage should not wait. Give our SERVPRO of Dover / Stillwater rapid response team a call whenever disaster strikes at (973) 810-2825. If Water Damage Plagues Your Jefferson Commercial Property, Call Our Experts Immediately! For quick results when dealing with water-damage, call SERVPRO of Dover / Stillwater at (973) 810-2825 any time. 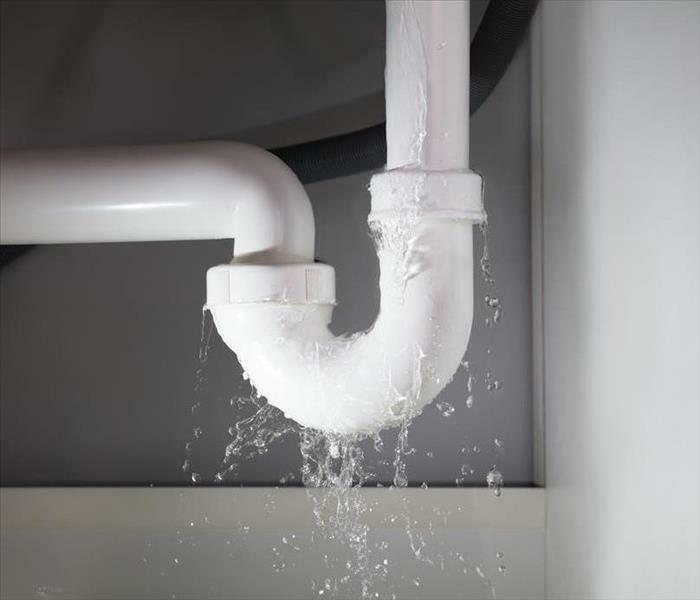 Most cases of water damage in commercial establishments happen fast when plumbing lines burst, drains clog or other water-related problems occur. A quick response is necessary for two reasons. The first is that the longer water remains standing in a property, the higher the level of ruin. The second reason is to ensure normal operations resume as soon as possible. We offer professional restoration services in Jefferson that can meet your need for speed. The goal of fixing commercial water damage in Jefferson fast might not be that easy to achieve. One of the biggest hindrances is lack of resources such as equipment to remove water, clean up the affected area and dry it to preloss levels. The task also requires a sufficient workforce to accomplish your desired goal in time. Because SERVPRO sends a team fully equipped to handle any emergency, we can overcome these hindrances easily. The large open spaces typical in commercial spaces also complicate the restoration process. For example, extracting water and drying a carpeted conference room presents a volume challenge unless the right equipment and specialized skills are applied. Using specialized water extraction equipment such as step-on rover water extractors, our SERVPRO technicians can accomplish the task fast. By stepping on the rover, the technician's bodyweight helps create an airtight seal between the surface and the extractors removing more water. Also, the technician does not use effort to move the extractor allowing coverage of large areas quickly. Dealing with unique finishes such as wallpaper on surfaces can delay the restoration process. Vinyl wallpaper that is common in commercial spaces acts as a vapor barrier making it harder to dry walls. Removing the wallpaper can overcome this problem. Our SERVPRO technicians also use other approaches such as drilling vent holes at the bottom of the wall and forcing air into the wall cavity. Venting helps dry the wall fast without the extra work and cost of removing and replacing wallpaper. For quick results when dealing with water-damage in Hopatcong, Stanhope and Mt. Arlington areas, call SERVPRO of Dover / Stillwater at (973) 810-2825 any time. We’re Faster to Any Size Disaster. Click here for more about Jefferson. It is not uncommon to be among the Jefferson homeowners that seek to provide the cleanup and repairs that your home requires to the best of your abilities. While this can save you money and prove a frugal and educational approach to owning a home, it is not always the best approach. When you get faced with water loss incidents, for example, the spread of the damage can be much farther than the surface might show. Inadequate cleaning and drying of water damage can prove destructive and hazardous to your property and those that live within it. The trouble with DIY water cleanup in your Jefferson home is that many homeowners have little idea of their success in removing all of the moisture and dampness from affected materials. It is often more complicated than mopping and toweling up water from the floors, and pooling water can penetrate flooring joints and seams, wick up drywall, and entirely ruin ceiling materials depending on the source of the water damage. Without the experience and appropriate equipment, much of this damage can go unnoticed by even the handiest of homeowners. Our SERVPRO team offers a thorough inspection of the property from the time that we arrive so that we are never unaware of the extent of the water damage that we face with the cleanup. While surface water might get addressed with mops, we also have to address the damage to exposed materials to prevent their degradation and warping. We have equipment such as our large drying mats and weighted remote-controlled extractors that can help to pull moisture up from subflooring to the surface for removal. 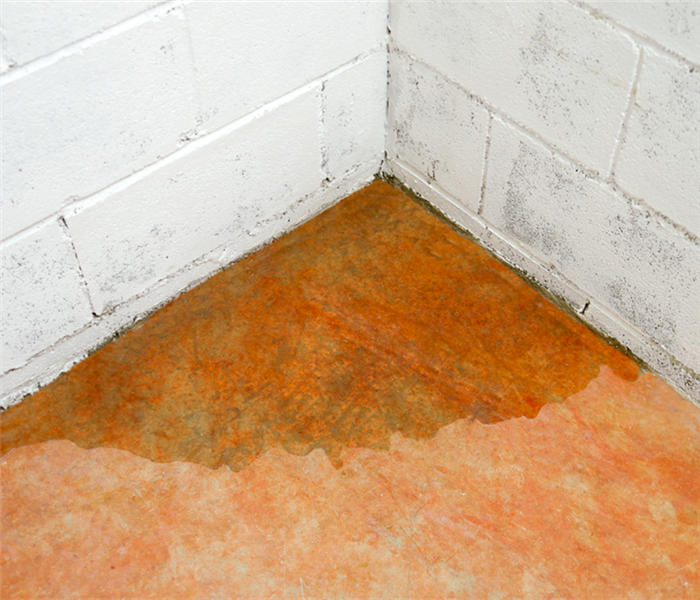 Additionally, failure to clean and dry up water damage appropriately can allow for the growth of mold and mildew. Both of these could potentially cause health effects for the household, but it can also prove a destructive force for the materials housing the colonies as well. Our SERVPRO team can ensure the area gets thoroughly dried to stifle the likelihood of secondary effects like mold growth. While you might want to take care of problems in your home on your own, water damage should get left to our SERVPRO of Dover / Stillwater water restoration specialists. Give us a call today at (973) 810-2825. 4/13/2019 - When A Flood Strikes Your Dover Home, Call Our Experts At SERVPRO Right Away! 2/19/2019 - If Water Damage Plagues Your Jefferson Commercial Property, Call Our Experts Immediately! 2/4/2019 - What is the Difference Between Mold Removal and Mold Remediation for Your Dover Home?